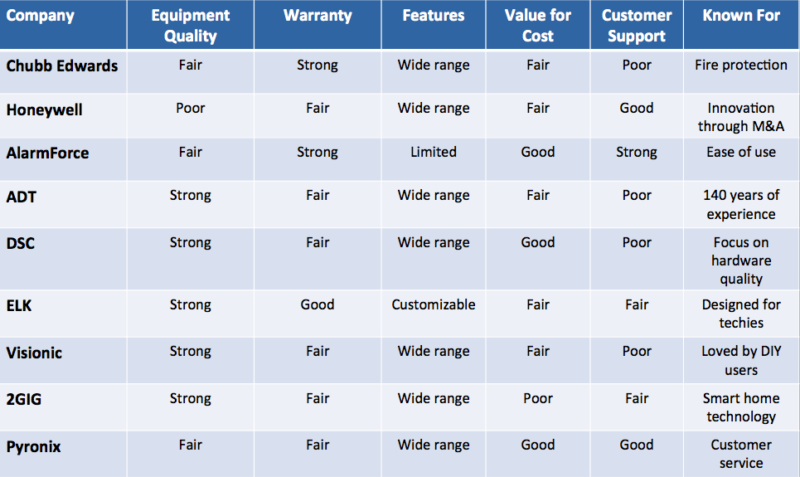 Reviewing this article on home security systems comparison will help you understand the pros and cons of each manufacturer, preventing misdirection and unwanted surprises. 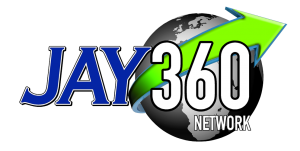 Jay 360 helps you understand your home security needs and guides you in choosing the right system. This chart summarizes findings on a handful of home security system manufacturers. This analysis is meant to be a starting point and readers are encouraged to learn more about each of these providers. It should be noted that the manufacturers also offer products for commercial/institutional uses. The comparisons provided can be generally applied to organization context also. If you’re not into sorting out the dozens of home security solutions, Jay 360 can also help you choose the right system. Click image or here to see a larger version of the summary table. Chubb describes itself on their website as providing fire and life safety and security solutions to more than one million customers around the world. Chubb emphasizes that they provide an end-to-end, total approach to fire and security requirements. Honeywell is an international brand committed to innovation, research & development, and quality. Honeywell uses mergers and acquisitions to integrate new technologies into its product line, to help them stay ahead on the innovation front. They are proud to be known as industry pioneers in commercial and residential home security technologies. AlarmForce was founded in 1988. They are leaders in home security, two-way emergency response systems, and video surveillance. AlarmForce takes full control of products, installation, and monitoring. AlarmForce designs and manufactures their products in-house, they do not use contract or 3rd party technicians, and they do not use 3rd party monitoring centres. ADT Security Services is an American corporation that provides residential and small business electronic security, fire protection and other related alarm monitoring services in 35 countries. 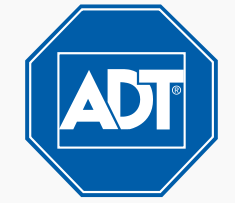 ADT describes itself as the largest and most innovative security company to help protect your home and family. DSC is a world leader in electronic security. Since the company’s beginning, the team at DSC continues to set the bar as industry leaders. DSC prides itself on their stalwart control panels, to their industry-leading IP alarm monitoring products and now their sleek, contemporary self-contained wireless panels. ELK is focused on creating products that secure and simplify life. In the rapidly changing security and automation market, ELK offers consumers the opportunity to take customization to a whole new level including the following features: security, lighting, environmental control, energy conservation, access control, and management of just about any electrical feature in the home or business. Visonic is an international developer and manufacturer of high-quality electronic security systems and components. They are dedicated to enhancing people’s way of life by increasing their sense of security. Visionic is one of the top choices for many DIY-ers who enjoy getting hands-on with their security system. 2GIG’s focus areas are customer service, leveraging existing telecommunications network, and technology innovation to drive value for its customers. 2GIG trumpets that it provides: the industry’s first, leading and most feature-rich self-contained security & home control platform. Pyronix focuses on delivering reliability, quality, innovation and customer service. They are known now for their use of cloud technology to integrate their various home security devices. Pyronix also continues to stand out for its responsiveness to customers in dealing with product issues. Despite the many bells and whistles offered by these home security manufacturers, choosing the right service provider makes all the difference. It could mean the difference between having your system make an ornamental impact versus contributing to robust security for your home. Jay 360 works with you to ensure we address each one of your security concerns and offers insights into angles you haven’t thought of before. There are many more factors to consider when choosing and installing a security system. 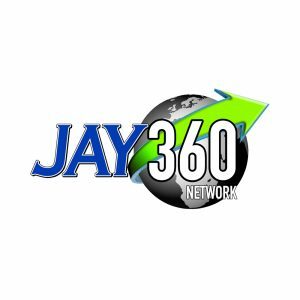 Jay 360 continues to help clients ensure their premise security, looking at all the different angles to provide you with ease of mind and comfort. You can rely on the knowledge and experience of Jay360 to provide you with the best home security solutions. We will recommend only the security products that meet your specific needs and budget. Call on Jay360 to help you to choose and install the ideal security system to suit you and your needs, all at the very best value.